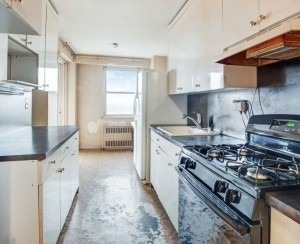 Over on StreetEasy.com, a commenter wants to know where "young gay guys and gals" move these days if they can't afford Chelsea or its northern offspring, Hell's Kitchen. Not for nothing, another commenter and self-identified landlord observes, the topic is of keen interest to real estate investors looking for gentrifying areas. So where is the next Chelsea/Hell's Kitchen? Anywhere but 'prime' Manhattan, apparently. Upper Manhattan (including East Harlem, Hamilton Heights, Washington Heights and Hudson Heights) is an increasingly popular choice, say some. "I play in a gay men's sport league, and a lot of us live in Hamilton/Washington/Hudson Heights," reports one commenter. 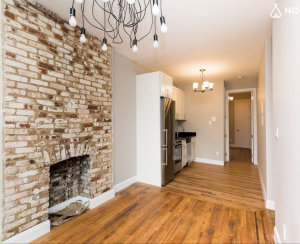 "These nabes are on the A express line so it's super easy to go to Chelsea/Hell's Kitchen. The west side of Broadway tends to have the gay couples, while the cheaper east side has more of the gay singles." 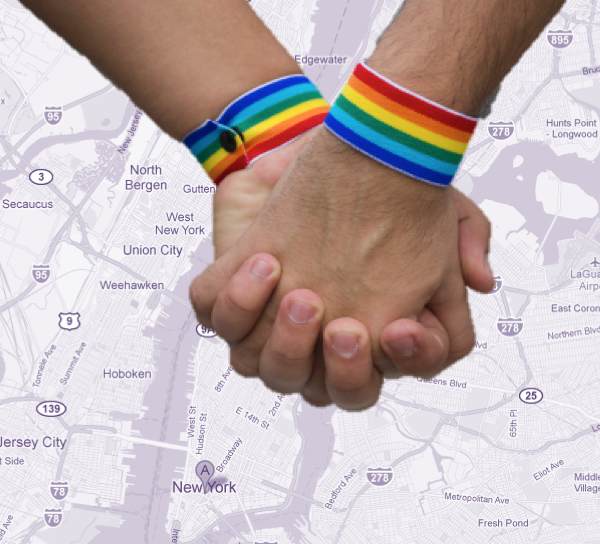 Outside Manhattan, Astoria, Queens has a "strong base for gays...due to the proximity to Hell's Kitchen for play and theater, and office for midtown work." 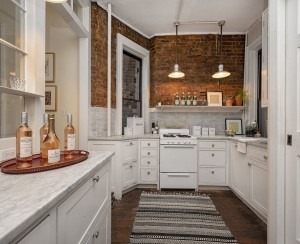 Williamsburg, Brooklyn, is also becoming an attractive option. So is Jersey City. "Grove Street [in Jersey City] is gayer than Hoboken, where the frat culture still permeates and makes some gays lonely, and while I don't go there often after coming back from a play date, I was kinda amazed how many people were eating outside as I always pegged the Grove street area growth as 'forced,' but now you see people bypassing Newport for its sterile environ (despite closer commute) for Grove's space, eats, and butts," says a commenter. He notes that there is also a "small but growing community in [the] Jersey City Paulus Hook area" popular among those with Wall Street commutes or jobs with "some of the new media companies now dominating downtown, as the Path is fairly quick from there." What did the UES say to the UWS?